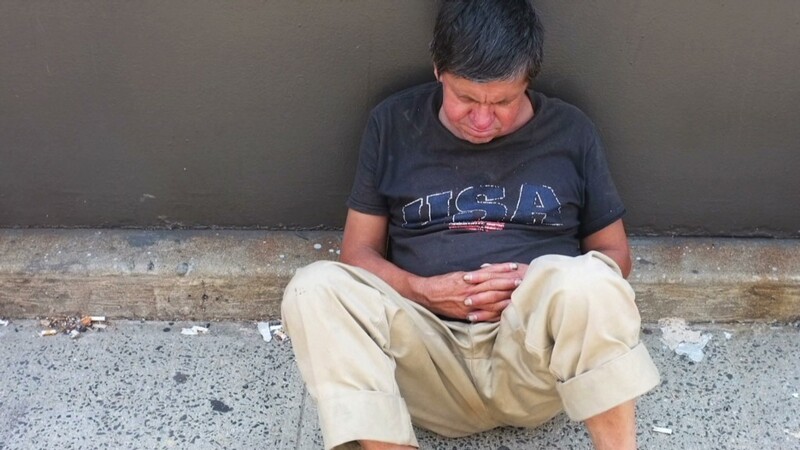 Years after the Great Recession ended, 46.5 million Americans are still living in poverty, according to a Census Bureau report released Tuesday. Meanwhile, median household income fell slightly to $51,017 a year in 2012, down from $51,100 in 2011 -- a change the Census Bureau does not consider statistically significant. 5 years after the crisis: Main St. vs. Wall St.
A CNNMoney panel discusses income inequality in America and the role of the financial system. But taking a wider view reveals a larger problem: Income has tumbled since the recession hit, and is still 8.3% below where it was in 2007. "We've had [economic] growth, but it hasn't really reached everyday Americans," said Elise Gould, an economist at the left-leaning Economic Policy Institute. "It's a lost decade, maybe more." This long-term decline in income is troubling to economists, especially as the middle and lower classes have fared considerably worse than the rich. Since 1967, Americans right in the middle of the income curve have seen their earnings rise 19%, while those in the top 5% have seen a 67% gain. Rising inequality is seldom a sign of good social stability. Americans were the richest in 1999, when median household income was $56,080, adjusted for inflation. Related: Who's to blame for income inequality? Who is earning the most: Young people continued to struggle last year, with those under the age of 35 seeing slight drops in income while those 35 and made some gains. Women made 77% of what men made, unchanged from the year before but up from 61% in 1960. Over one million men found full time work last year, as the economy recovered. Some have dubbed the most recent recession the "mancession," as large numbers of men have left the workforce. Asians had the highest household income ($68,600), followed by whites ($57,000), Hispanics ($39,000) and blacks ($33,300). How the poorest are faring: The recession also pushed many more people into poverty. In 2010, the poverty rate peaked at 15.1%, and has barely fallen since then. This is the first time the poverty rate has remained at or above 15% three years running since 1965. Those making $23,492 a year for a family of four, or $11,720 for an individual were considered to be living in poverty. While the ranks of the poor are still elevated from the recession, overall poverty is remains far below the 22.4% it was at in 1959 when the Census first began tracking the data. 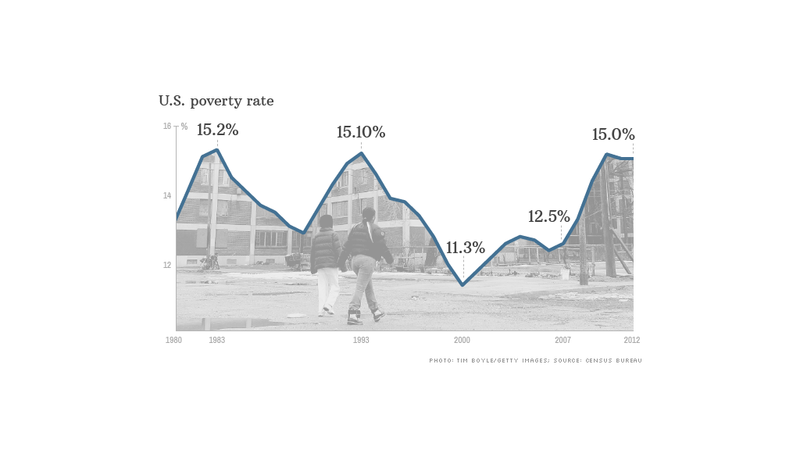 Over the last 25 years, the poverty rate has averaged just over 13%. Why is the U.S.A. so unequal? The official poverty rate reported Tuesday does not include things like government benefits and the effects of medical and work expenses on the cost of living. It is also not adjusted for regional differences in housing costs. The Census Bureau puts out another poverty index later this year that takes those things into account and is considered a more accurate measure. Last year, that separate measure put the poverty rate at 16.1%.